Enjoy the sunshine in this beautiful oasis any time of year! 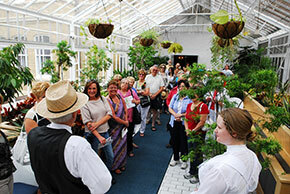 The conservatory is a public space that can be used during regular visitor hours. Feel free to bring your lunch, a book or a friend to enjoy in this wonderful space!